Changes in temperature have impacted every aspect of life on Earth, from genes to entire ecosystems, with worrying consequences for humans, according to a new study co-authored by the IUCN Species Survival Commission’s Climate Change Specialist Group (SSC CCSG), published on November 15 in the journal Science. The study found that more than 80 per cent of ecological processes that form the foundation for healthy marine, freshwater and terrestrial ecosystems—such as changes to genetic diversity or seasonal migration—are already showing signs of distress and altering as a response to climate change. The study analyses 94 ecological processes, as documented in peer-reviewed literature. “The extent to which climate change is already wreaking havoc with nature is simply astounding,” says IUCN Director General Inger Andersen. “These findings send a very clear message to world leaders: cutting greenhouse gas emissions and protecting the ecosystems on which we depend is an urgent matter of self-preservation,” she adds. Many impacts of climate change on species and ecosystems affect people, according to the authors, with consequences ranging from increased pest and disease outbreaks, reduced productivity in fisheries and decreasing agricultural yields. 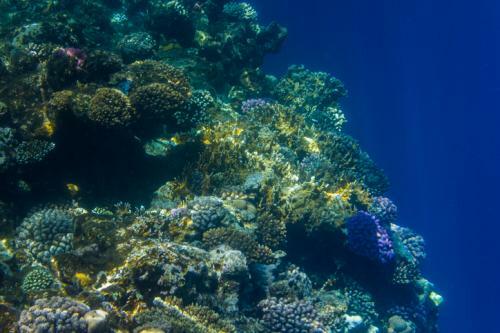 Changes in ecological processes may also compromise the ecosystem’s capacity to help us mitigate and adapt to climate change, the authors warn. Healthy ecosystems contribute to climate mitigation and adaption by sequestering substantial amounts of carbon, regulating local climate and reducing risks from climate-related hazards such as floods, sea level rise and cyclones, the report states. When a large number of processes are all impacted within a single ecosystem, they scale up to produce what researchers call ecological regime shifts—where one ecosystem state shifts to an alternative state. This can be seen in kelp forests that have turned into rocky barrens in temperate seas. On land and in the oceans, many ecosystems are becoming unrecognisable, with Arctic tundra ecosystems becoming dominated by boreal and temperate organisms, and temperate marine ecosystems becoming dominated by tropical organisms. However, the study also points to hope as many of nature’s responses to climate change could be used to inform human adaptive measures. For example, improved understanding of the adaptive capacity in wildlife can be applied to our crops, livestock and fisheries. This can be seen in crops such as wheat and barley, where domesticated varieties are crossed with wild varieties to maintain the evolutionary potential of crops under climate change.